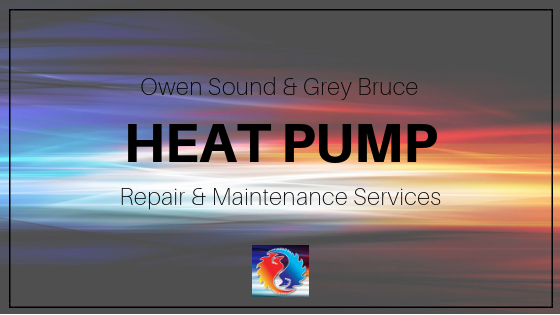 Crose Mechanical provides the areas of Grey Bruce and Owen Sound heating services, including the maintenance and repair of heat pumps. A heat pump is virtually an air conditioner that runs backward. A central air conditioner works by taking the warm air in the house and absorbing the warmth to keep it cool. It then sends that heat outside via compression technology and refrigerant lines. Essentially, the warm air being sucked in from your furnace goes past a coil which cools the air. That heat is absorbed into the refrigerant which goes outside to your outdoor unit that blows warm air back out. If you put your hand over your air conditioner outside you’ve got really warm air in the summertime. With a heat pump, there’s a little valve in there and it’s aptly named a reversing valve. It reverses the flow of refrigerant and it essentially reverses the components so that you’re absorbing heat from the outdoors and transferring it into your furnace to be blown and keep you warm in the winter time. You are probably asking yourself, “how do we get heat from the outdoors?” Well, even at zero or below degrees outside, there’s still heat energy in the air. The compression technology of modern heat pumps will take that little bit of heat energy and translate it into nice, warm air into your house. 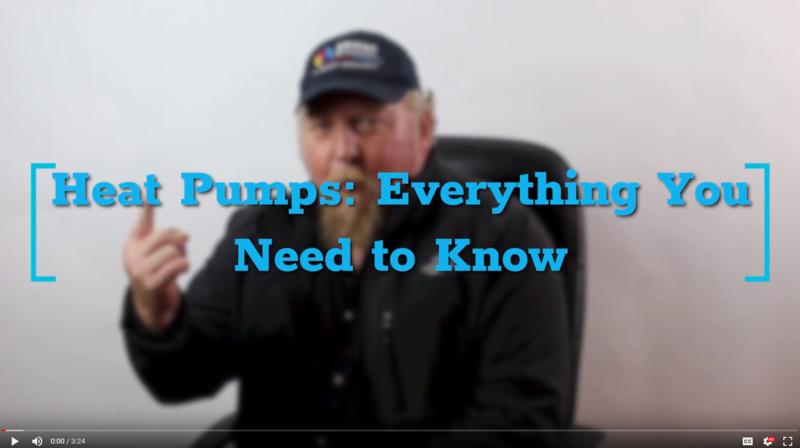 How Will I Know If My Heat Pump Has Stopped Working? Simply put, it basically stops throwing heat. What Do I Do If My Heat Pump Breaks Down? If your heat pump breaks down, which means we presume that it’s not throwing any heat, there are a couple of things to check quickly before calling a service technician. 1. Check your air filter. Just like your furnace or your air conditioning, your air filter is vital. In order to blow the heat away from the coil from your heat pump, your air filter needs to be clean. 2. Check the batteries in your thermostat. 3. Check for ice buildup on the outdoor unit. With an air conditioner, the indoor coil is cold while it cools the air and the outdoor condenser is warm and blowing the warm air out from your house. With the heat pump, the outdoor unit is the cold unit as it’s absorbing the heat to send it into your house. Since it’s so cold outside already, one side effect of a heat pump is frost on the outdoor coil. Heat pumps come with a method of defrosting on a regular basis. As the coils outside ice up in the wintertime, it has to cycle some hot refrigerant back or start an electric heater, or some way of thawing the frost on those coils. If you see a great amount of ice buildup on the outdoor unit and your indoor unit not throwing any heat, that’s a sure indication you’ve got a problem possibly with your defrost cycle on the outdoor unit. 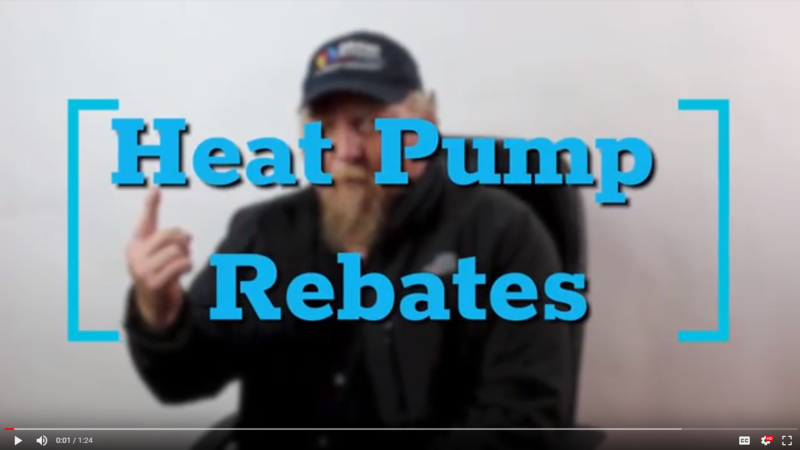 Are There Rebates Available for Heat Pumps in Ontario? Yes, there is if you currently heat your home by electric baseboard or electric furnace. The benefit of that is modern heat pumps can be quite efficient. Ductless splits and ductless heat pumps; you may or may not have heard of them but they don’t use ductwork or your furnace. They’re an outdoor unit and an indoor unit, and some of them are very high in efficiency as measured in a SEER rating (: https://inspectapedia.com/aircond/SEER_Ratings_Definitions.php ). To equate it, if you think of electric baseboards and it costs $1 to give one unit of heat from a baseboard, the heat pump’s $1 can give up to four units of heat. Therefore you can say they’re four times more efficient than a baseboard in a cost-benefit way. Plus they give you air conditioning in the summer.